I was surprised but pleased when the obituary of Michael Rhodes was carried in papers across the United States. Michael Rhodes was truly deserving of this final tribute. Sadly, most who read the obituary had probably never heard of Michael Rhodes. Permit me to share his story. Michael Rhodes was on his way to a great career in America, then in 1951 he was invited to visit Trier Germany. Trier is a relatively small town but it is the oldest city in Germany and is something of a cultural mecca. Trier has a fine opera house and a knowledgeable, appreciative audience. The German people seemed to love Michael Rhodes as much as he loved them. In 1951 Rhodes moved to Trier Germany and later that year became the first American after World War II to sing at Berlin’s Deutsche Opera. Among the more than 100 major roles that he sang during his 35-year stage career, “Falstaff” from Verdi’s opera of the same name was his favorite role. 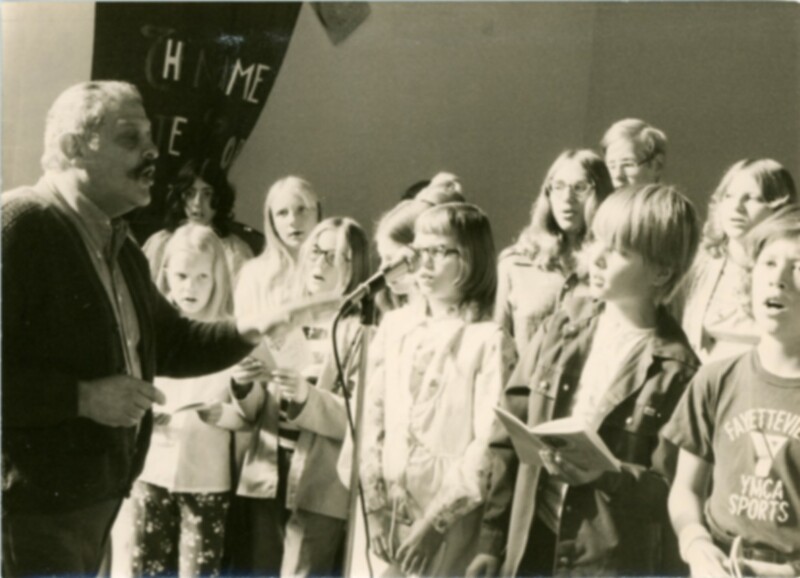 I was blessed to have known Michael Rhodes in the 1970s and to have felt the power of his voice on many occasions. 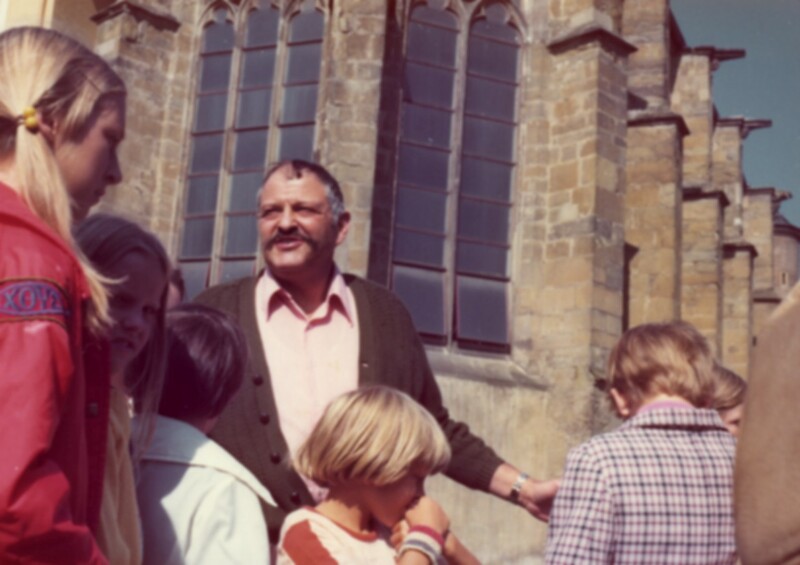 My family once shared a memorable Christmas dinner with him and other family and friends at his home in Trier. I was just a teen at the time and knew him more as a choir director and family friend than as an opera star. On one occasion we were going to see him in an opera in Trier and Michael promised my little sister a special song. She was about nine years old at the time and she asked, “how will I know which song is for me” and he said, “I will just wink at you.” During the opera there was a scene where he was drinking in a tavern and appears to pass out. A second or two later he lifted up his head, looked at the audience and winked. The entire audience cheered as he started to rise from the ground singing a wonderful fun song. To this day I do not know whether that was a regular part of the opera or something he did just for her. Either way it was another wonderful night with Michael Rhodes. I don’t know why Michael moved to Germany. I would not be surprised if it was nothing more than his love for Trier. There was no mistaking his love for his adopted hometown. He also loved performing and directing in the wonderful opera halls and cathedrals of Germany. He loved Germany but he also never stopped being American. He devoted countless hours to working with American service men and women stationed in Germany and their children. I was in choirs and had minor roles in musicals he conducted for American service families at airbases near his home in Trier. Being directed by Michael Rhodes was a joy. He was never temperamental; he never became frustrated or angry. He gently pushed us to be better than we ever thought we could be. I and many other American youth not only had the chance to work with Michael Rhodes, we also had the opportunity to perform in historic venues like the High Cathedral of Saint Peter in Trier and the Cologne Cathedral, in Cologne. Wherever we went with Michael, we were always greeted warmly by the German people. Being a teen I also had the opportunity to sing with adult chapel choirs and a US vocal ensemble. 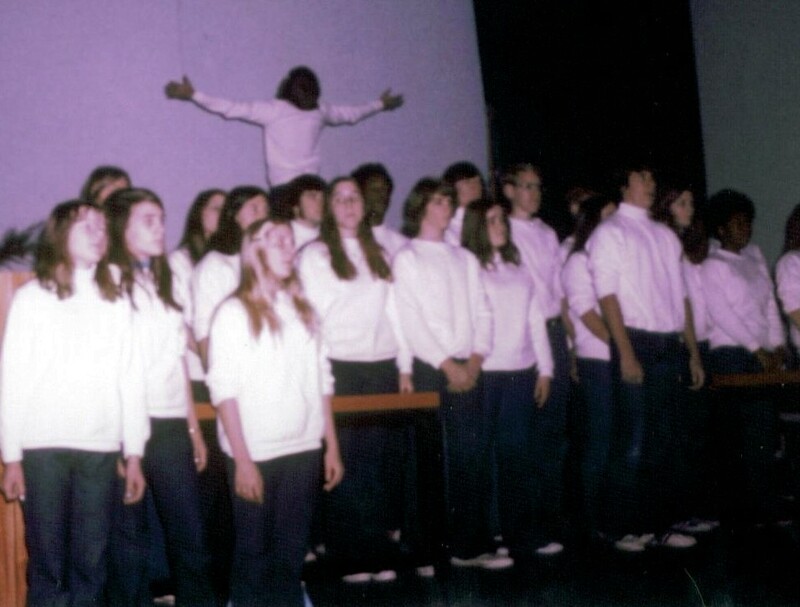 In 1974 the Choral Society of Bitburg and US vocal ensemble presented the “Messiah” by Georg Friedrich Händel under the direction of Michael Rhodes. The final production of the combined choirs was presented at St. Peter’s Cathedral in Trier. St. Peter’s is the oldest church in Germany and is known for looking more like a castle than a church. Football and wrestling practice got in the way of me making all of the rehearsals so I did not sing in the combined choir performance of the Messiah at St. Peter’s Cathedral. However, I was fortunate enough to be in the cathedral for the combined performance and also to sing an abbreviated version of the Messiah later that month at the airbase chapel. I have referred to the Messiah as a performance and as a production and in deed it was both but if Michael were here he would remind all of us that it is first and foremost a worship service. Michael loved the Messiah and wrote his doctoral thesis on Georg Friedrich Händel. He reminded all of us repeatedly that the Messiah was the gospel set to music. It is the story of the life, death and resurrection of Jesus Christ. On the night of the combined German-American service, my family wanted to get the best possible seats so we arrived very early only to find hundreds of people already there – so many, we feared we might not get in. Eventually we got in and got a seat toward the rear of the Cathedral. The acoustics in the massive stone structure were amazing and we had no trouble hearing. It was a magnificent night I will never forget. There are no words that can truly describe what I heard that night. On that evening the audience stood for Hallelujah not out of custom or tradition but because the story and music drove them to their feet. I have heard portions of the Messiah, often just Hallelujah sung many times since 1974, and when it is over I always think the same thing: that was wonderful, but that was not the Messiah. To sing the Messiah, in my mind, you need an ancient stone cathedral, at least a 150 member choir (300 is better), professional soloists, and most of all, you need Michael Rhodes. Michael Rhodes deserves to be remembered as an Opera star but more than anything he was a great teacher. He taught opera stars like Jonas Kaufmann, Katharina Bihler and Joshah Zmarzlik but he also found time to share his love of music with the children of American service men and women. As a former military dependent I want to say: thank you, Michael Rhodes, for the thousands of hours you spent working with the youth of the American Air Force Bases at Spangdahlem and Bitburg Germany. Michael Rhodes died Sunday, March 20, 2013, in Trier, Germany.